A tracker is an element of your diet or lifestyle that is being monitored. 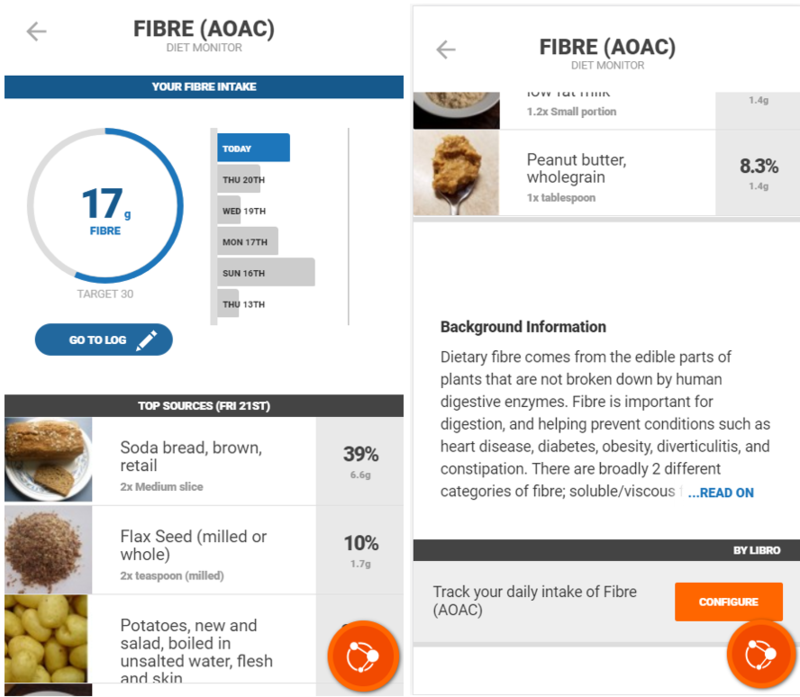 From the homescreen, click on one of your nutrient trackers to view more information on it. Your intake for that nutrient and your progress in relation to your daily target for that nutrient are shown in a bar chart. Beside this, your intake over the previous days are shown in a bar graph. Click on a date to jump to your nutrient intake on that day. You can also edit your food log form this workspace. Your top food sources that contributed to your nutrient intake will be listed underneath the graphs. The food name, portion size logged and the contribution of each food to your intake of that nutrient are shown. Underneath the list of foods, you will find some background information on the nutrient.